This coin jewelry bracelet has the eras from the last 200 years of Copper Pennies in America. The Old American Large Penny in the center was minted from 1816-1859. This coin is one of the oldest coins we use.The Indian Head Penny (the two inside coins) was minted from 1859-1909. The Lincoln Wheat Penny (the two outside coins) was minted from 1909-1953. Each bracelet comes with a card with the detailed history. 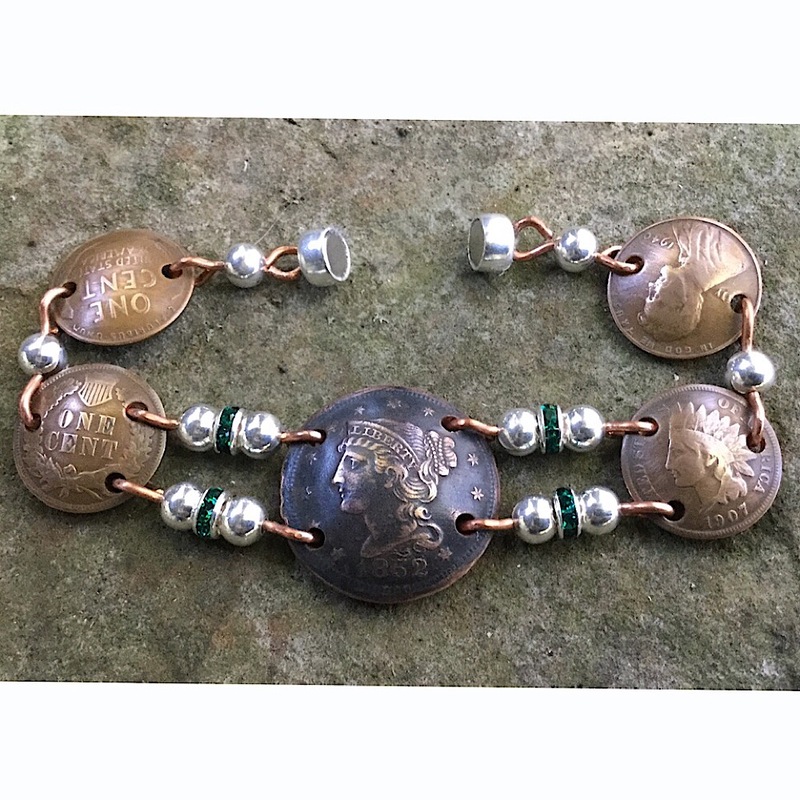 This handcrafted coin jewelry bracelet can be made from your coins instead of ours for $52. Made in the USA.